Innisbrook’s famed Copperhead Course is home to the PGA Tour’s Valspar Championship every March, where golf’s top players compete for a sizable purse and FedEx Cup points. 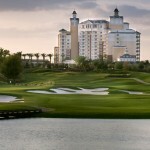 The resort’s Island Course has also gained prestige by hosting several LPGA and NCAA events. Taking full advantage of their rolling terrain—a rare feature for the region—all four of Innisbrook’s Larry Packard–designed courses are favorite stops on Florida’s Legends of Golf Trail. Reunion is the only golf resort in the world to boast Signature courses designed by the sport’s top three icons—Palmer, Nicklaus and Watson. Combining the beauty of their natural landscaping with unique and challenging layouts, these courses have won numerous awards and followers over the years, cementing their position on Florida’s Legends of Golf Trail. 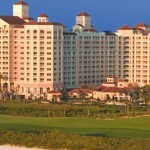 As the only resort-based ANNIKA Academy by Annika Sörenstam, Reunion also offers premier golf instruction. Hammock Beach’s two highly regarded golf courses—Ocean and Conservatory—have hosted PGA Tour events and earned some of the top rankings in the state by Golf Magazine, Golfweek and Golf Digest. The Signature designs from Nicklaus and Watson are highlights on Florida’s Legends of Golf Trail. Each course offers a distinctive style of play surrounded by spectacular views of the natural landscape, including the Ocean Course’s six holes that hug the rolling Atlantic. With exclusive privileges at The Club at Creighton Farms, resort guests can golf one of the D.C. metro area’s premier private clubs. When the Jack Nicklaus Signature Course opened, it was honored as one of the “Best New Private Courses” by Golf Digest, Golf Magazine, Golfweek and Travel + Leisure Golf. 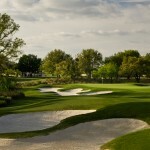 It has since hosted the Senior PGA Professional National Championship. In addition to Creighton Farms, resort guests have access to three other well-regarded local golf courses.